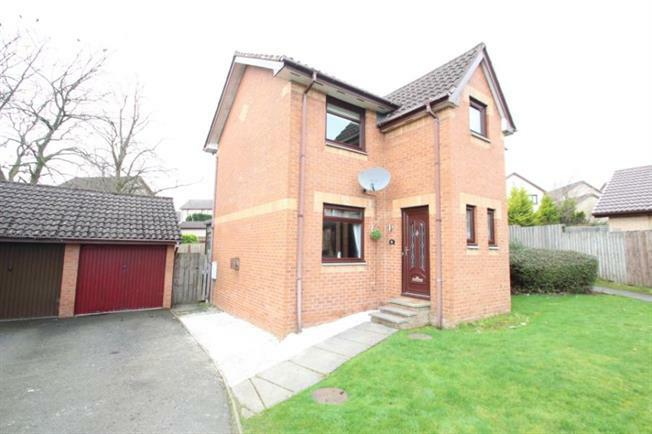 This modern three bedroom detached villa with conservatory is beuatifully presented throughout and is located within the sought after Balloch area of Cumbernauld. The property boasts attractive mdoern decor and the accommodation comprising entrance hallway with convenient modern two-piece WC, spacious lounge with doorway to kitchen and access to the conservatory. The modern kitchen diner comes complete with a range of wall and base mounted units and integrated appliances and ample space for a large dining table and chairs. The generously proportioned conservatory also offers and additional public room plus access to the rear garden. Upstairs there are three good sized bedrooms, with the master benefitting from en-suite facilities. In addition there is a fully tiled contemporary three piece family bathroom. The property further benefits from a garage and gardens to both front and rear. There is gas central heating and double glazing. The property lies in the popular Balloch area of Cumbernauld and is well positioned to enjoy Cumbernauld's amenities with Cumbernauld Town Centre offering high street shopping. There is schooling at primary and secondary levels in the area. Transport facilities include regular bus services connecting Balloch with the Town Centre and surrounding areas. Recreational opportunities are varied with sporting and leisure facilities all available in and around the Town. There is nearby Croy Train Station providing rail links to Glasgow, Edinburgh and points beyond. Balloch is also well positioned for access to the A80 connecting Cumbernauld with Central Scotland's motorway networks.